50 tiles from Johnson Bros. china plates. 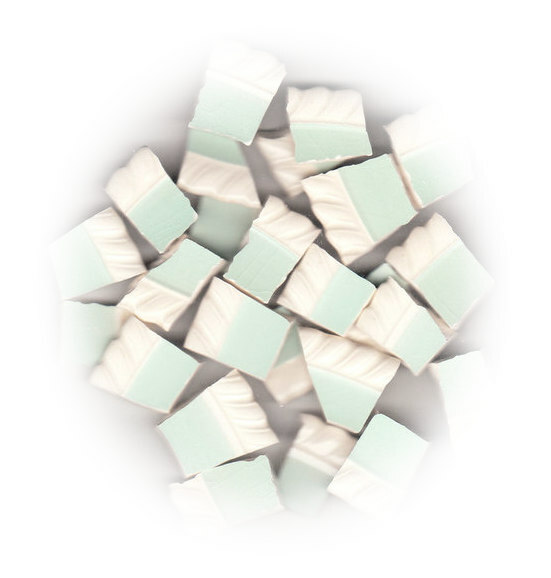 Aqua with white fluted rim.ï¿½ All rim tiles. Tiles average approximately .75" wide.